Designer Staircases offer a wide product range that will suit every budget and taste. We have an extensive range of staircase and balustrade designs, as well as a huge selection of materials to choose from. Our staircase designs are designed and manufactured specifically for each individual home. 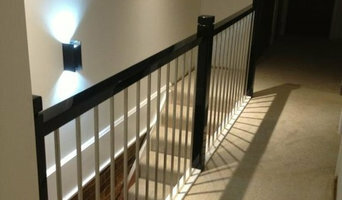 Whether it be for an internal or external stair or handrail, we can certainly cater for your needs. We also specialise in commercial and town house developments. Staircase designs include Straight or curved, traditional or modern or cantilevered and architecturally designed masterpieces. Designer Staircases is the right choice for your project. Genneral Staircase is the pinnacle of the Staircase and Balustrading industry. Established in 1971, we are one of the largest staircase manufacturers in Sydney, producing and installing staircases throughout NSW. Genneral Stairs has the ideas, materials and tradesmen to make your stairs and rails the centerpiece they deserve to be. Oz Stair is a 100% Australian owned company manufacturing and installing the highest quality staircases and balustrade to Builders, Architects and Homeowners. Oz Stair, formerly known as Kirrawee Stairs has been manufacturing stairs all across the Sydney region for the past 30 years and are known as the industry as the leader in boutique staircases and balustrades. What we do: Oz Stair is a boutique staircase and balustrade manufacturer installing a high quality product with options to suit any style or budget. 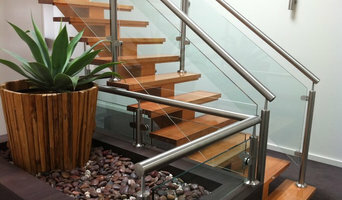 We offer an extensive range of timber, steel staircases and glass and stainless steel balustrades. Our clients range from large commercial builders, project home builders, architects, interior designers, heritage builders, renovations to owner builders. We can design, manufacture and install just about any staircase or balustrade that our clients only dream of to add to their homes or projects. 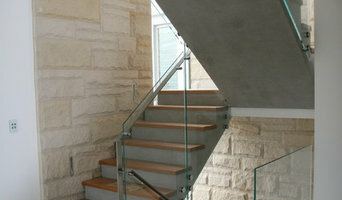 Using the Oz Stair website provides you with only a preview of options that you have to design your perfect staircase. Australian made glass products used, adhering to strict standards for balustrades inside and outside as well as pool fencing. For over 40 years WB Jones Stairs have manufactured and installed high quality timber staircases and balustrades using time honoured and accepted construction techniques. We offer a huge variety of balustrades including powder coated metal, stainless steel and glass. With over 40 years building experience Sydney City Staircases design, supply and install stairs, handrails, and balustrades. We specialise in both interior and exterior stairs with accessibility to an array of timber, steel, stainless steel, glass and wrought iron materials catering for both the commercial and residential markets. Our skilled & qualified tradesmen allow us to assist you with all your building requirements. Call to find out more 1300 783 999. Staircase builders with a passion for the delivering the world's best staircases including: spiral staircases, commercial staircases, designer staircases, curved stairs and handrails. We specialise in the most complex and intricate work. The fabrication and installation of designer staircases and architectural stairs by our team ensures a beginning to end solution for all requirements. We are passionate about completing complex design and taking projects from concept to completion. We specialise in home design, architectural and structural steel. 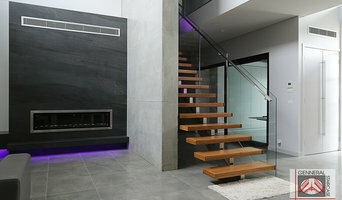 Specialists in Steel Staircases, floating, steel staircases, modern stairs, metal staircases, architectural staircases. Glass balustrading & handrailing. Edward Brown Staircases began manufacturing in the late 1960s. The aim of the business was to produce top quality curved timber staircases for the larger homes that were being built after the post war boom in low cost housing started to decline. Edwards father, George, was a building contractor with a small joinery works. In the post war housing boom he and the family developed a large prefabricated housing business. Edward Brown was apprenticed to his father in 1939 and after the post war boom in housing eased they reverted to building contracting. When his father retired Edward continued building on his own. In the late 1960s some of his clients asked him to incorporate more quality features in their houses such as geometrical staircases. This led to the establishment of Edward Brown Staircases Pty Ltd. Since Metric Joinery was established it has become a manufacturer of high quality timber products. These include innovative staircases, impressive entrance doors, grand feature screens and all other types of joinery designed by renowned Sydney architects. Our manufacturing facilities are state of the art, allowing us to meet and satisfy all your needs. At metric joinery we aim to solve any design issue no matter how challenging. We pride ourselves on our excellent service, sound knowledge based on years of experience and attention to detail. We utilise the best materials, mainly Australian Hardwoods and Western Red Cedar sourced from the finest Australian suppliers. We can also source exotic timbers worldwide. Wayne Mavin is a Sydney-based craftsman who, over the past 20 years, has specialised in traditional joinery, stairbuilding and handrailing. Wayne’s objective is to use traditional methods and quality timber to create hand crafted works of the highest standards. He works for private clients, builders and architects in the Sydney area and interstate on request. Full range of Cast Iron and Cast Aluminium heritage products and services from supply only to supply, fabricate and install. We are also specialists in the repair or reproduction of existing heritage cast iron products. We source our products from locally based foundries as well as are the exclusive distributors of the 1812 Cast Iron Co range of products. . We will come to you with our range of product and offer service and advice with a no obligation quote. We look forward to being of service to you in the near future. Staircase designs also vary greatly – from the offbeat to the grandiose – making it imperative that you work with a Bellevue Hill, New South Wales designer who understands your style and can work to your budget. From treads and risers, to balustrades, banisters and handrails, the Bellevue Hill, New South Wales professionals in this category can design, supply and install stairs or the components that will complete your stairway to heaven. Whether you need to replace a handrail, want to update your glass balustrade, or need a complete stair installation, there’s a professional in Bellevue Hill, New South Wales who can help you through the process, from start to finish. Find Bellevue Hill, New South Wales manufacturers, suppliers and installers of stairs on Houzz. Scroll through this page to find companies that manufacture, supply and install stairs in your area. You can browse their portfolios, read reviews and see how other tradesmen and homeowners rate their customer service, expertise and product. Here are some related professionals and vendors to complement the work of staircases & balustrades: Architects, Interior Designers & Decorators, Carpenters, Design & Construction Firms.